This mug has ears! Vulcan ears! Custom sculpted and beautifully crafted, this 4 3/4-inch tall black-and-white (of course) Star Trek Spock 20 oz. Sculpted Ceramic Mug goes where no mug has gone before. 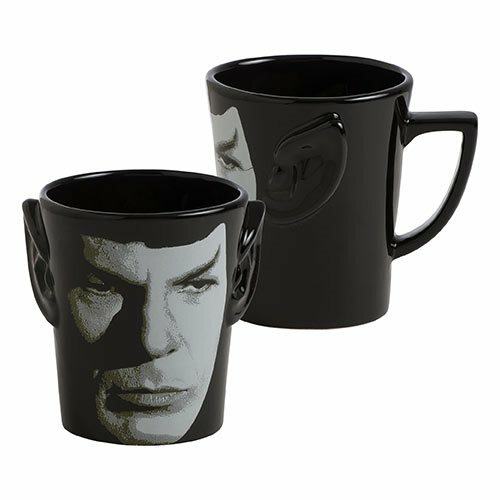 Packaged in a matching gift box, it presents an iconic image of Mr. Spock, complete with pointy ears in just the right places. Do the logical thing - order yours now! Hand wash only. Not dishwasher safe. Do not microwave.